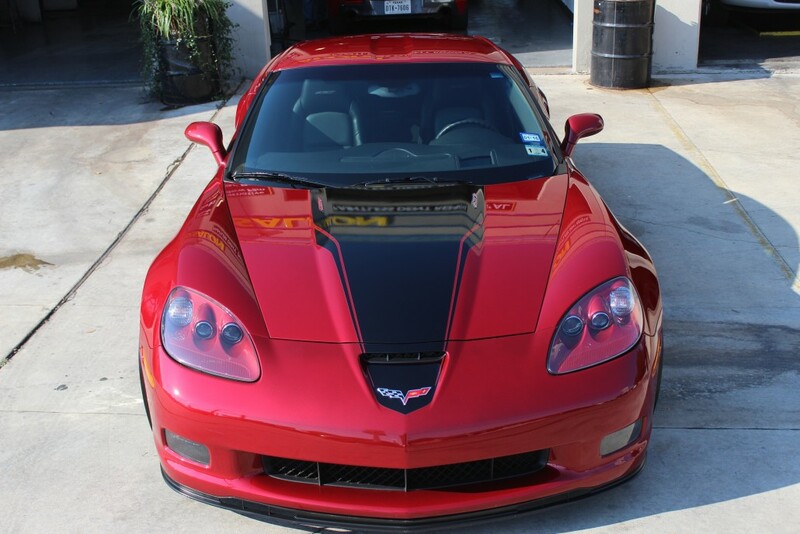 San Antonio — A 2008 Chevrolet Corvette was recently in the shop for Xpel clear bra replacement, 2 step paint correct and finish enhancement with Modesta protective paint coating. 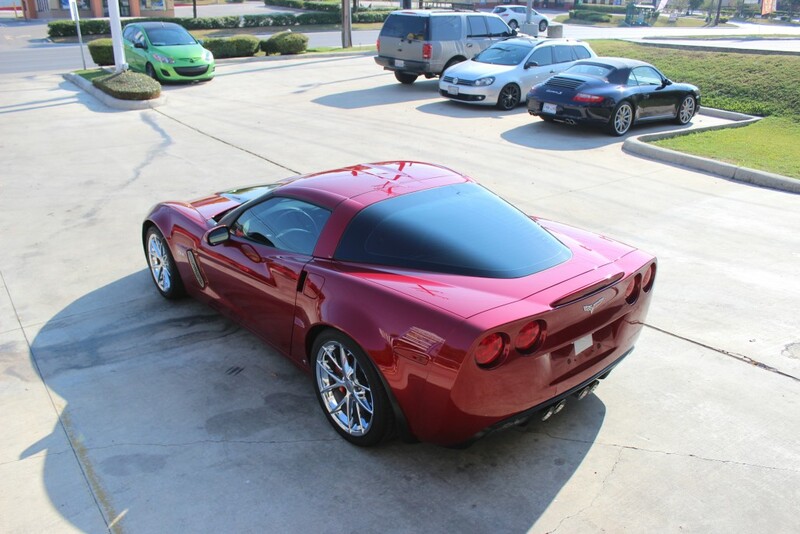 Overall the Corvette was in great shape. The Xpel clear bra was doing its job protecting the front from stone chips and bug splatters. However a few large impacts from high speed driving were visible. 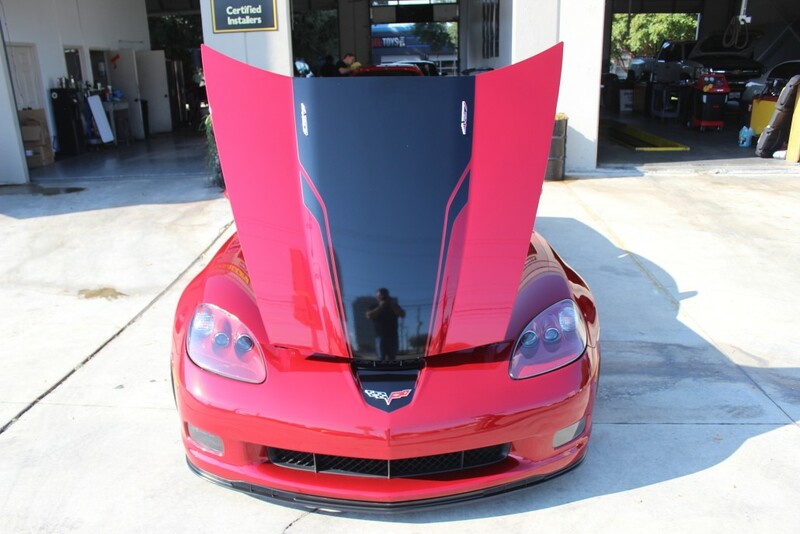 The owner was sure the hits had damaged the paint even with the Xpel clear bra applied. After the removal of the film we found absolutely no paint damage. It always amazes us how such a thin pice of material can offer so much protection. 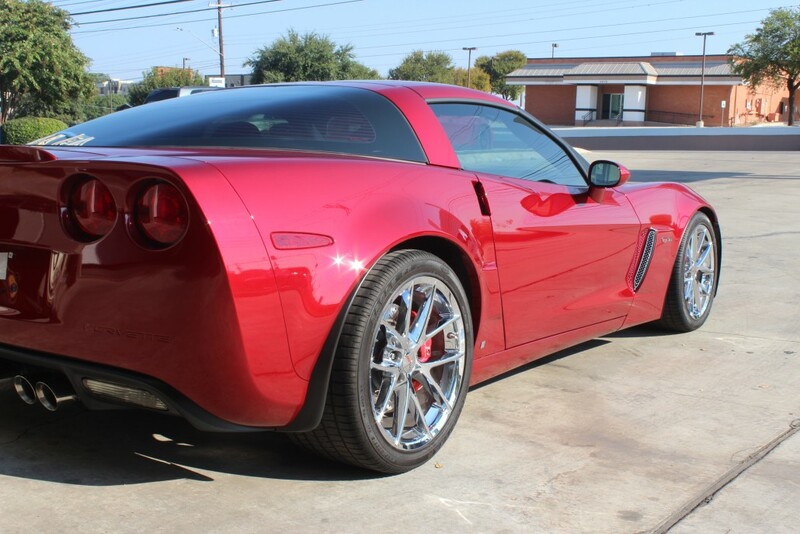 We custom cut new full full front pieces with wrapped edges and reinstalled them on the Corvette. 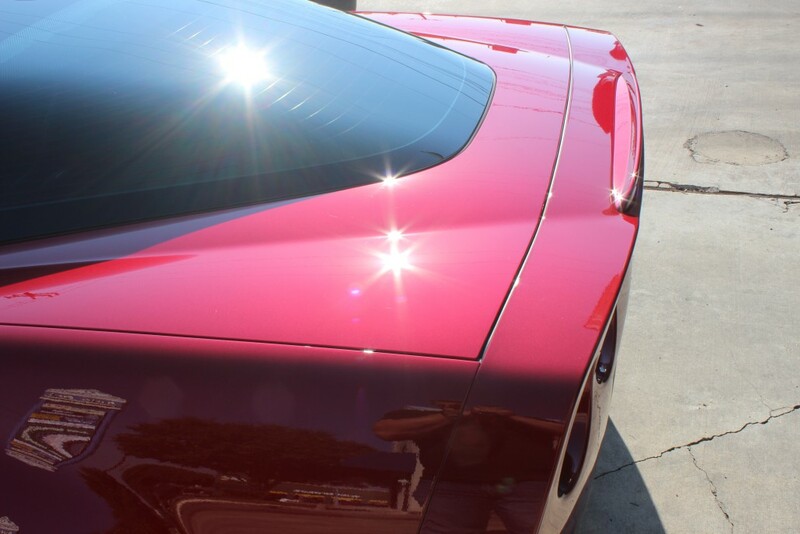 The paint correction was done it two steps. The first one a heavy polishing step. 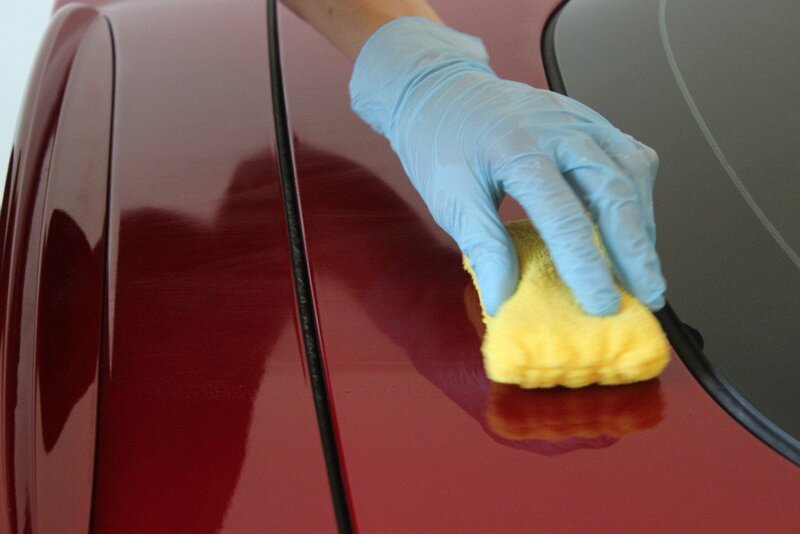 This was done to remove marring in the paint from washing and light scratches from a car cover. the second step was to ensure no swirl marks were in the paint from the first step. 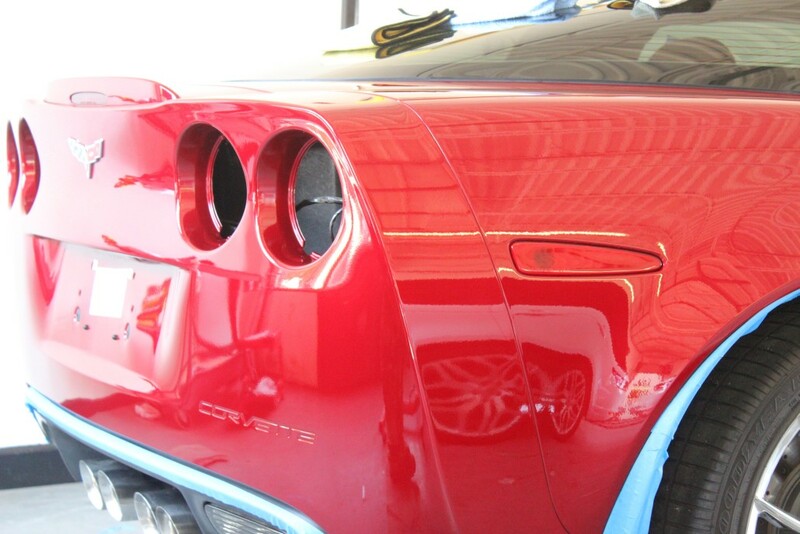 We cleaned the paint one more time with a wax and grease remover and started the Modesta treatment. One of the reasons Modesta looks so good is because of the preparation needed to apply it. This is why they are very selective in who is authorized to apply it. 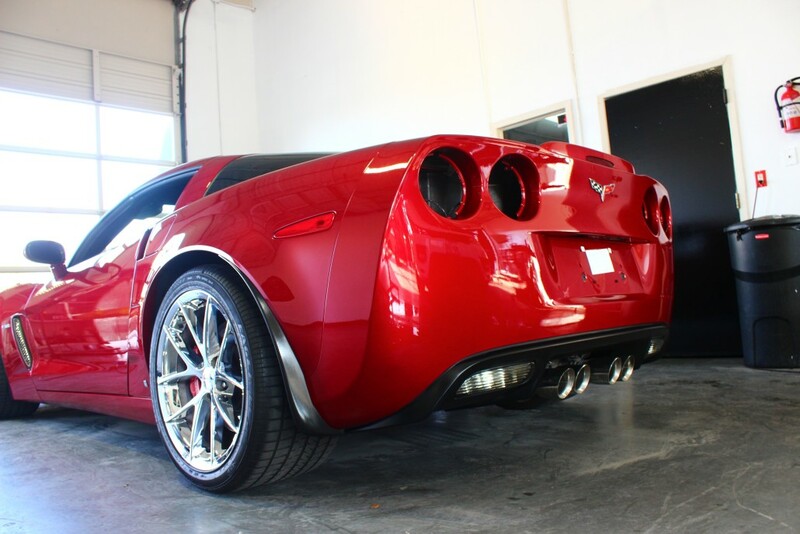 We applied Modesta P-01A primer to all the painted surfaces. It goes on like a polish. After setting up for a bit the excess is removed. We then waited the recommended time before starting the Modesta BC-04 application. This application is done with a wet applicator a wet microfiber towel and two dry ones. Doing sections at a time with the Modesta BC-04 you really start to see it add gloss and depth to the paint. one the car is coated it’s time to cure/harden the product with inferred curing lamps. 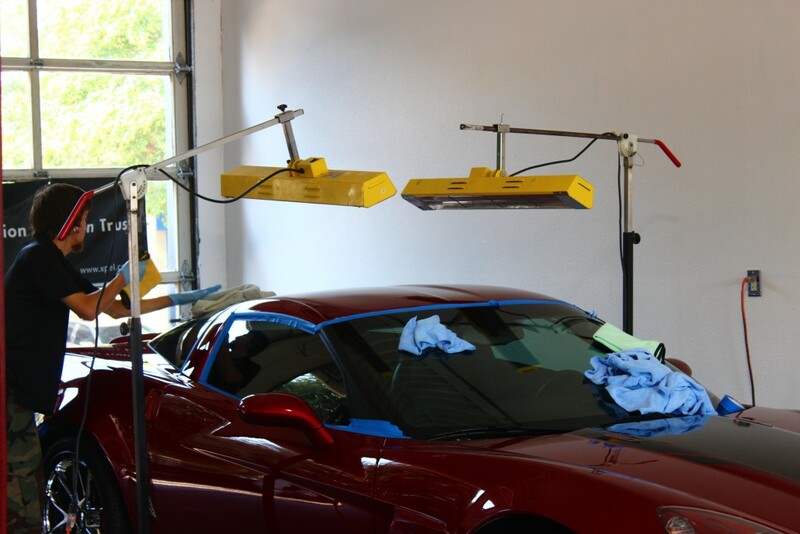 These lamps heat the paint to 140 degrees for 15 minuets. Once this step is done it will look even glossier. 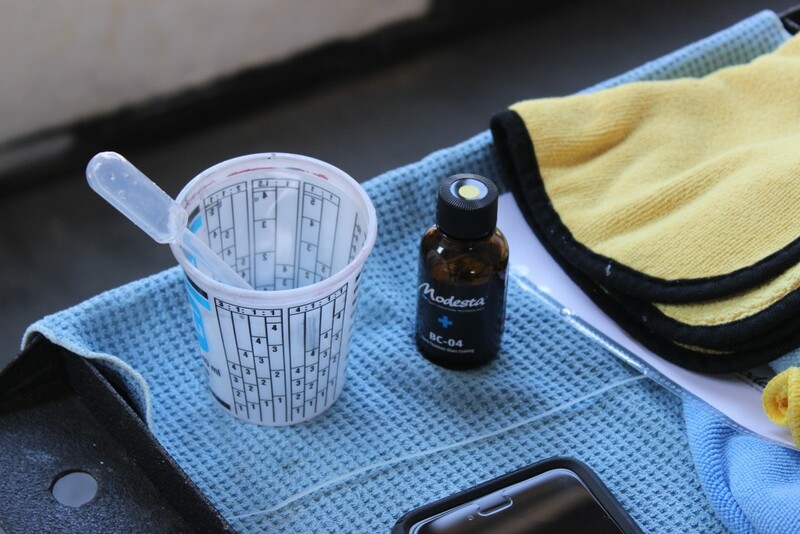 A final wipe down with Modesta M-1 Shot and the car is ready to deliver.